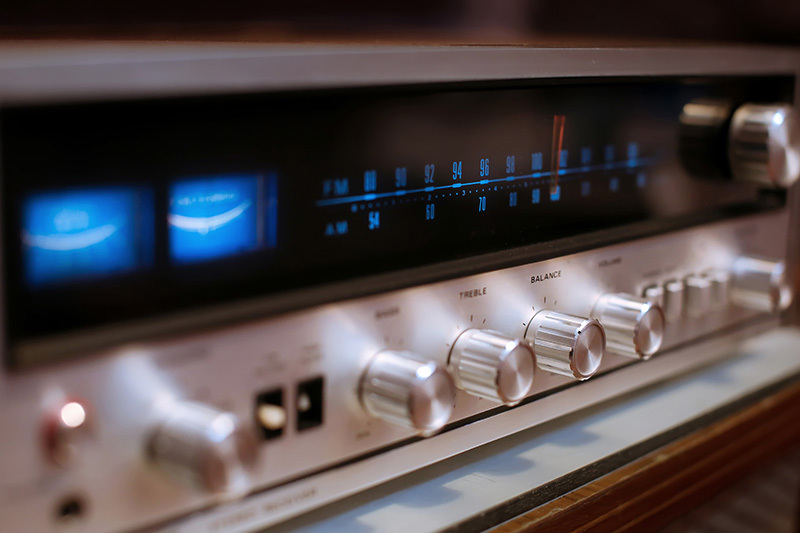 It’s only in the last decade that the concept of “0 dB” as it relates to AV receiver volume controls and playback loudness has become common on AV receivers and AV preamps. Previously, if a volume control had numerical values marked on the receiver’s front panel or shown in a front-panel display, the numbers got bigger as you increased playback volume; when you reduced the volume, the numbers got smaller. It was simple, logical, and easy for anyone to understand. Loud equals big numbers; soft equals small ones.On current AV receiver/preamps, it’s the negative values of dB loudness settings that are confusing. In fact, it seems counter-intuitive: As you reduce the playback loudness on your AV receiver, the negative numbers grow larger, and when you exceed the “0 dB” mark as you crank up your AV receiver’s volume to extremely loud levels and possible distortion, the positive numbers are tiny: +3 dB, +6 dB, and so on. The confusion occurs because we’ve grown up comprehending that bigger numbers mean larger values or an increase. After reading this article, however, I think that you'll find the relative values of negative dB settings are actually logical, because in the old days, the settings on AV receiver volume controls were entirely arbitrary and unrelated to actual dB values. So whatever one manufacturer chose to put on the front-panel volume control or display applied only to that particular receiver. For example, one manufacturer might rate his volume control from 1 to 10, “1” being minimum volume and “10” being the maximum. Another might label the control going from 0 to 100. A little bit of history helps to explain how the concept of 0 dB and its negative and positive values migrated from the professional broadcasting and recording environment to consumer audio gear. In the old days, Bell Labs and the broadcast networks came up with the concept of “0 VU” (which stands for Volume Units) to standardize electrical audio signal levels between interconnected radio and TV stations sending programming across the country over telephone lines to affiliate stations. The “0 VU” setting was standardized as a certain voltage into a particular impedance, and in a sense it reflected the perceived loudness of the incoming source signal (not quite the same as “0 dB,” but close enough for illustration). The use of the VU meter in broadcasting and recording was to ensure a strong enough audio signal that was well above any noise, yet prevent a too-loud signal that might distort or overload any recording equipment or the input circuits of the control consoles in the other radio stations. So long as the station engineers kept the incoming signal levels at or below the “0 VU” indication, they were likely to broadcast or record a nice clean undistorted signal. So how does all this relate to your AV receiver/preamp’s volume control settings? Think of “0 dB” on your AV receiver’s volume display as a kind of “maximum loudness” setting beyond which you may drive the amplifier into audible distortion or “clipping.” In the May AudioFile newsletter, I described the subjective sense of loudness changes that increases of 1 dB (just barely detectable change in loudness), 3 dB (slightly louder), or 10 dB (twice as loud) trigger in average listeners. On your AV receiver, the dB indications are still relative and you should hear them that way. If your AV receiver’s setting is at, say, -25 dB, and you turn it up to –22 dB, that 3-dB increase in loudness should sound “slightly louder.” Going from –25 dB to –15 dB, an increase of 10 dB, should sound about “twice as loud”. Keep in mind, however, that the relative loudness of your particular speakers and AV receiver settings won’t easily transfer to another listeners’ volume settings, especially if he has different loudspeakers that have different sensitivity ratings. Your listening distance and preferences also come into play. However, for Axiom enthusiasts who own the same model of loudspeakers or speakers with the same measured sensitivity, then the relative dB values on the AV receiver’s display will apply.